that makes children want to play with it over and over again? 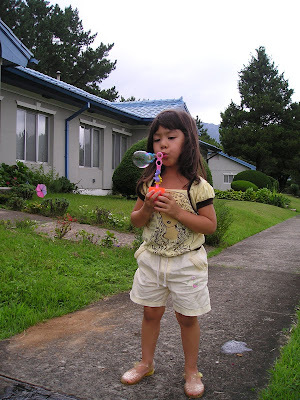 I don't think there are kids out there who did not want blowing bubbles in their childhood. 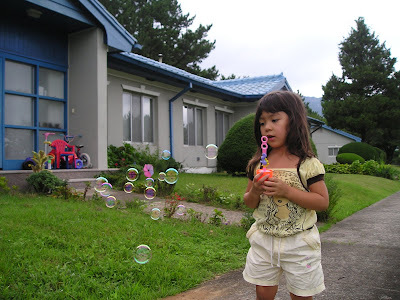 My daughter can play with it the whole day. 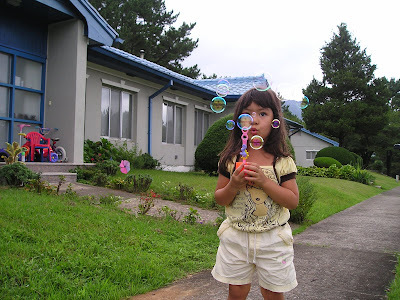 When we were in West Virginia, her Aunt Chris always bring her different kinds of scented bubbles. We bought each of them a bottle when we went to the mall the other week. EJ dumped his on the ground lol but Rylie was in her glory blowing it. I would not want to be a bubble because your life span is just a matter of seconds hehehe..
Hi tsang Bakla, this update is for you lol.... Thanks for visiting guys! Ganyan din ako sa aking mga pamangkin,binibilhan ko sila,ng mga laruan,na di madaling bilhin,lalo sa bukid namin. Nung kabataan ko,madalas kase akong nasa labahan,kaya madalas kong nilalaruan ang detergent bar. Waaaaaa kahiya nman tsang bakla special mention talaga, buti naman na update kundi pabulain ko yan blog mo hehehe joking lng bakla. Parang aliw na aliw si rylie sa bubble gang nya ah. Di tulad sa bubble nung maliit tayo bakla, bbula sa sabon o yung sa dahon I forgot the name. haaay matanda na itong lola mong bakla nalilimutan mga bagay bagay sa kabataan hehehehe. Hala tsang, bumiyahe talaga akies from pittsburgh to here beofre hitting the retirement place just to see the bubble gang of your kiddos. Ikaw muna dito bakla, nytnyt hehehe ayoayo ha. musta ka na mare ko? 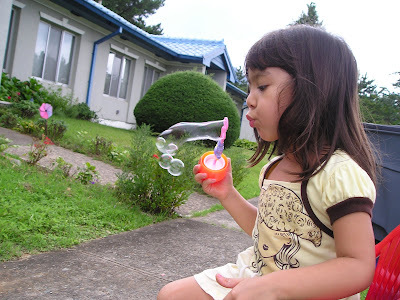 that's true Rose, basta mga bata they likes to play bubbles. 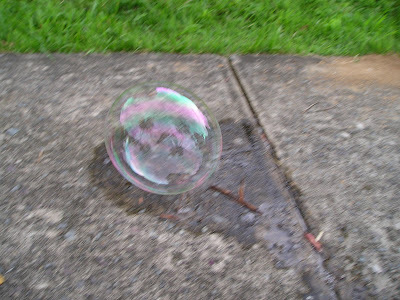 You are right, kids love that bubble stuff. 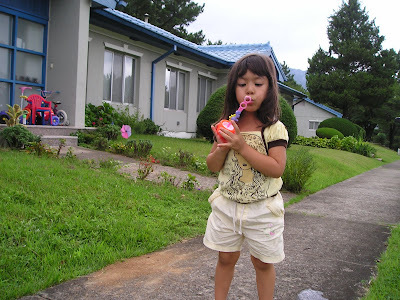 Your daughter seems to be bigger every photo I see of her, you have very cute children. Thank you for coming by. It reminds me my childhool life, I used to play that before. 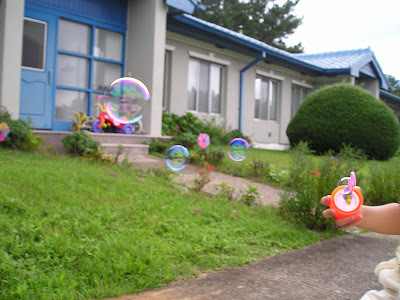 ganyan yata talaga mga bata eh, mahilig sa bubbles; si jake ko rin aliw na aliw sa bubbles eh. 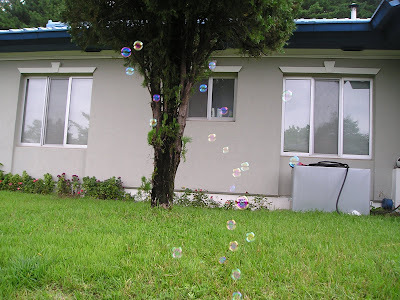 nice pix of ry and the bubbles, Rose! 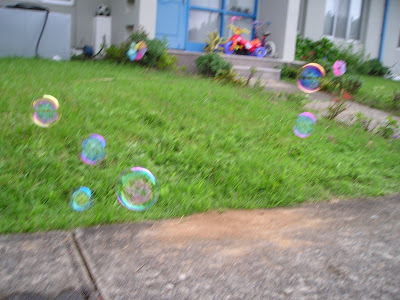 Playing bubbles is wonderful indeed and Rylie found that out herself. Thanks for the post. God bless you always.